There’s one week left to apply for a 2018 Judith F. Krug Fund Banned Books Week grant! 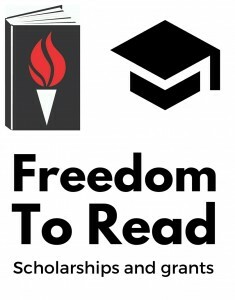 Each year Freedom to Read Foundation distributes grants to non-profit organizations to support activities that raise awareness of intellectual freedom and censorship issues during the annual Banned Books Week celebration. Libraries, schools, universities, and community organizations are encouraged to apply. Free people read freely! Would you like to create an exciting program, host a community conversation, or create an eye-catching display celebrating the freedom to read? Applications are open for libraries and organizations to receive a grant from the Freedom to Read Foundation to host a program during Banned Books Week, Sept. 23-29, 2018. Grants of $1,000 or $2,500 are offered through the Judith F. Krug Memorial Fund. Judith Krug was the founding executive director of the Freedom to Read Foundation and the director of the ALA’s Office for Intellectual Freedom from their recespective creations. The Judith F. Krug Memorial Fund continues her legacy of safeguarding the First Amendment and furthering the principles of intellectual freedom in the United States. To see projects from past recipients and to apply, please visit the FTRF Grants webpage. The application deadline is May 11, 2018. The Freedom to Read Foundation (FTRF) is a non-profit legal and educational organization affiliated with the American Library Association. FTRF is committed to protecting the First Amendment and supporting the right of libraries to collect – and individuals to access – information.